Oral care, when it comes to the loss of a tooth, is a multi-tiered concept that can require additional support in many areas within your mouth. When a tooth is removed by accident, decay, or a surgical procedure, the area around that tooth suffers up to a 25% loss in bone within the first year. That same bone that helps to support areas around the tooth that is gone can directly impact adjacent teeth within your mouth and lead to further complications down the road and can result in issues such as dental infection, periodontal disease, or even trauma. If you are curious about the concept of bone grafting and how it is used in the dental profession, here is a short synopsis, but we would love to answer any questions that you may have at our office. 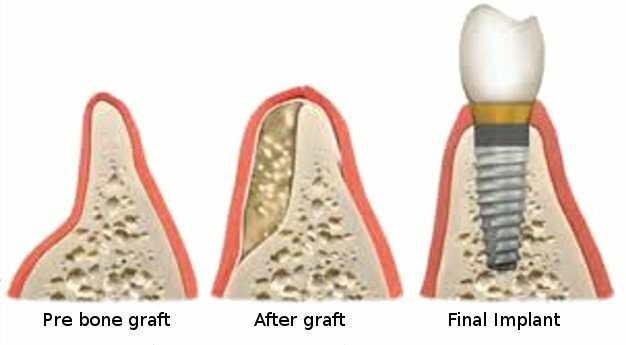 Bone grafting involves the use of natural bone or man made bone to help preserve empty sockets for implantation, restore sinus cavity shape and integrity, or to augment the ridge in your mouth to restore the natural contour to your jaw and gums. All of which are designed to help reduce pain and problems that may result from tooth loss in the future. Whether you have visited our office or are looking for a new place to get the dental care you need in Rochester, we can help. At the Offices of Dr. Vincent Vella D.D.S, we provide you with a suite of services performed in a friendly, professional, and stress free environment that makes getting the care you need easy and enjoyable. Just imagine not having that sore tooth or swollen jaw. Doesn’t that thought sound relieving? Schedule your appointment with us, and get your smile back with care from the office of Dr. Vincent Vella.